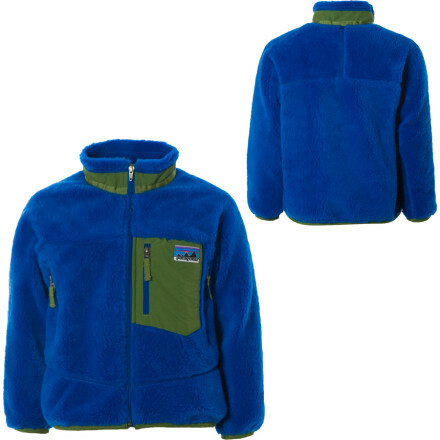 Visit Patagonia's Retro-X Jacket page. 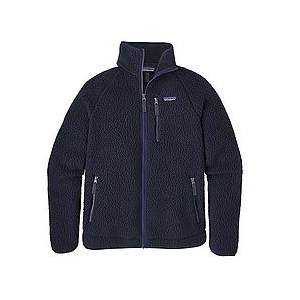 Your guy is going to look pretty fly in the Patagonia Retro-X Jacket. A vintage style windproof fleece trimmed with nylon and equipped with an elastic hem will make the Retro-X a hit with him and in the classroom. Its the season of change, except for the Boys Retro-X. 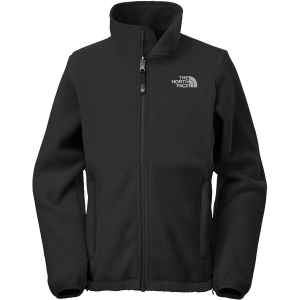 This versatile jacket, made of thick 100% polyester quarter-inch pile fleece (78% recycled), has a windproof nylon lining that handles seasonal transformations with ease. Cozy, quarter-inch pile fleece and windproof protection make the kids' Patagonia Retro-X jacket a staple for changing seasons. 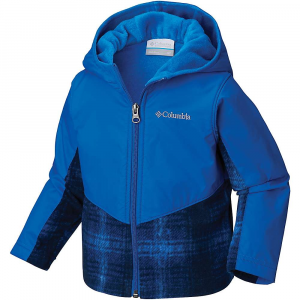 Keep your youngster warm on the playground and the trails. 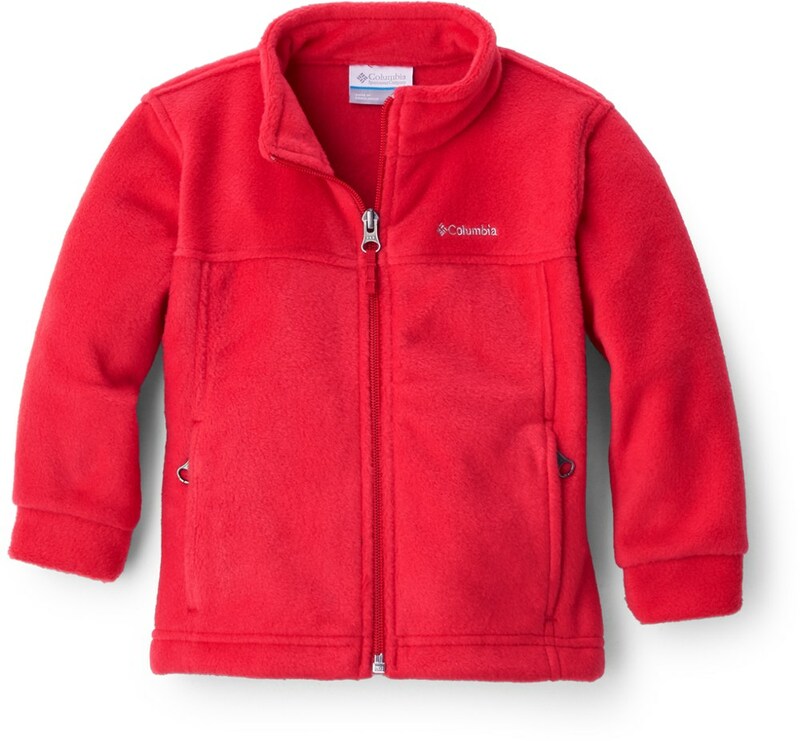 Watch her make memories as she runs around the campground in the Patagonia Girls' Retro-X Fleece Jacket. 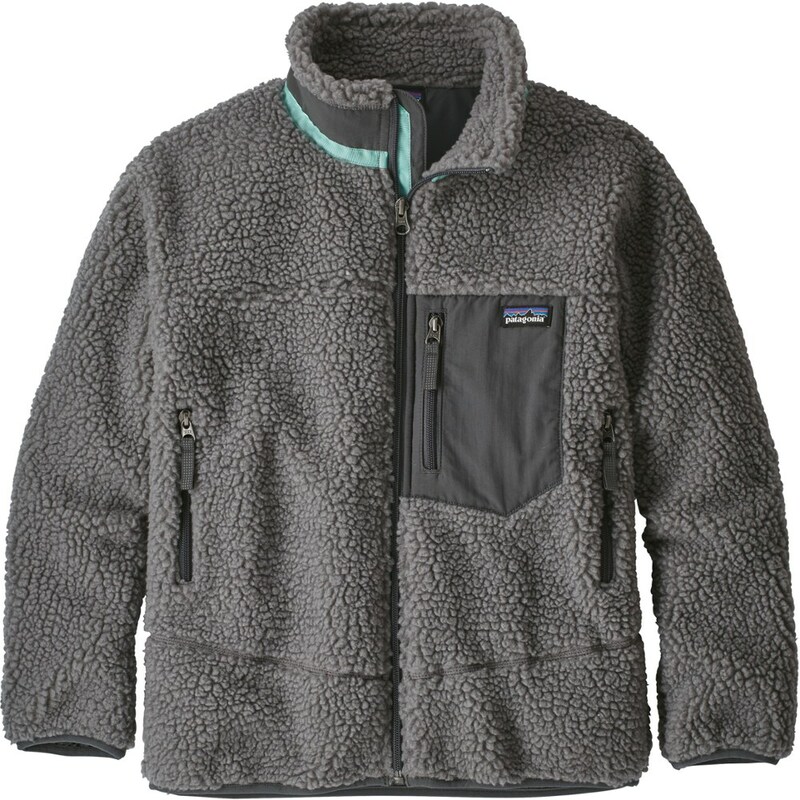 The quarter-inch high pile fleece exterior is made primarily from recycled polyester for a soft feel that keeps her warm as she throws rocks into the lake and roasts marshmallows around the fire. 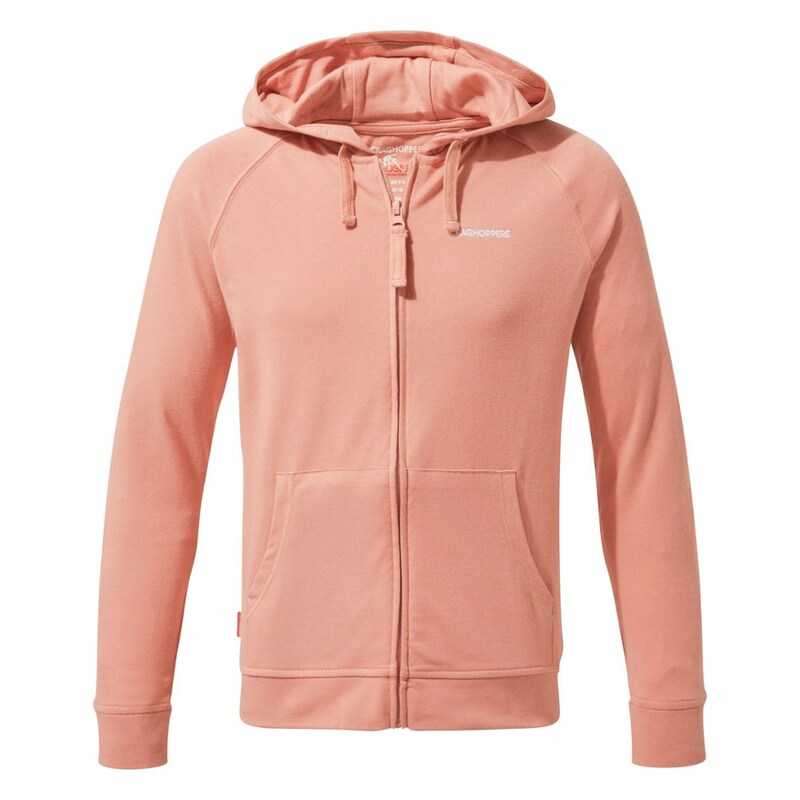 The windproof lining ensures smooth layering and protects your girl from chilly mountain breezes during afternoon hikes. Zippered pockets help her keep mementos secure, and a hand-me-down ID label encourages continued use over the life of the jacket. With a regular fit, this full-zip fleece can be worn by itself for shoulder season camping or topped with a shell for superior comfort in cold, stormy conditions.